How Am I Smart? 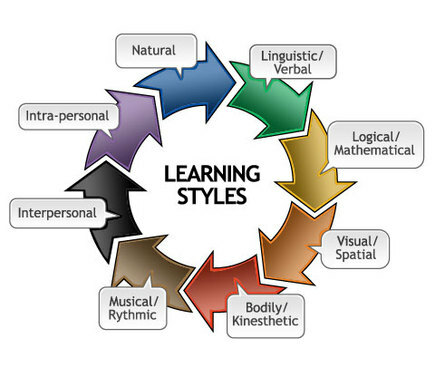 What is your Learning Style or Learning Preference? It is useful to discover your own "learning style". Are you predominantly: VISUAL or AUDITORY or KINESTHETIC? Check out the VAK page for more detail. Click the button below and take the Learning Styles Inventory to better understand the type of learner you are. Answer 20 Questions to Find Out. My Study Habits - How can I Improve Them? My Character Type - How Strong Is It? Download and print the file below. Click the button and take the 70 question Learning Styles Report and track your results using the Learning Styles Report Form you printed. Complete the survey and and the report and pass it in.